Trying to win back its business clients, BlackBerry has gone ahead with a squarish chassis over the typical, rectangular slab design. Trying to win back its business clients, BlackBerry has gone ahead with a squarish chassis over the typical, rectangular slab design. The 4.5-inch display feels broader than the Samsung Galaxy Note 3. The display is bright, vibrant and offers amazing viewing angles with the 1440x1440 pixel resolution. 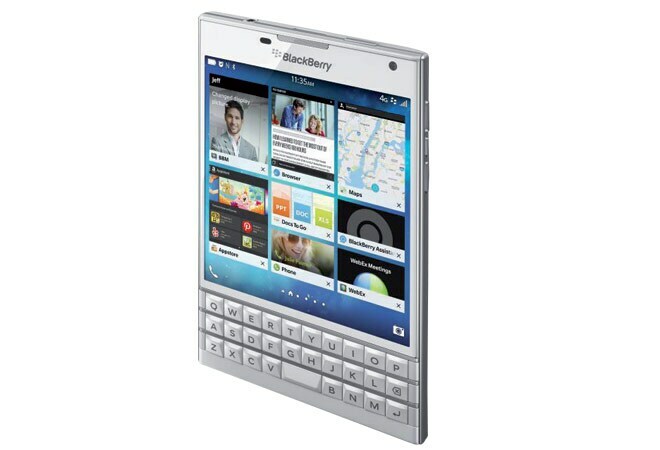 This isn't an all-touch device and has a QWERTY keypad too. It isn't designed for a single-hand operation or to slide it in your jeans pocket but it has a sturdy build. The square display's sole purpose is to talk business. Be it reviewing spreadsheets or browsing the web, you get more space to read without zooming in. The BlackBerry OS 10.3 makes it easy to use such an awkward-sized phone. As reaching the power key on the top is slightly difficult at times, swiping up from the bottom of the display does the job. Similarly, the Priority Hub gives access to important notifications. The phone is a master at multitasking with eight apps running in the background. There is a search assistant software onboard that does a decent job with India accent too. For apps, other than the BlackBerry App World, we have Amazon Appstore onboard that gives access to far more apps. BlackBerry has also upgraded the camera to 13 MP resolution, which by far is the best BlackBerry camera I have ever seen. The images are sharp and crisp. Topping it all is the awesome battery life. Bag it or junk it: Getting back to business, but it isn't meant for the masses.